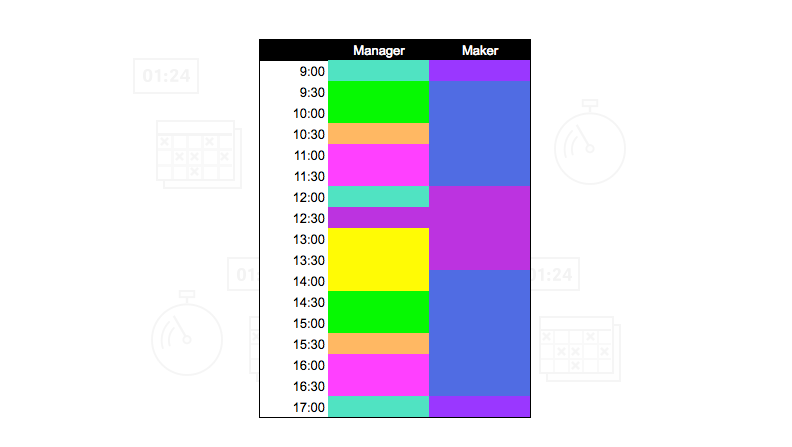 To understand why developers and designers hate meetings and interruptions, you have to understand the difference between a maker's and a manager's schedule (as Paul Graham observed in his famous essay on time management). People who create things (designers, writers, developers) operate under a maker's schedule, which is completely different from a manager's. Managers can neatly divide activities into 1-hour blocks. They have appointments throughout the day, and they can change them on the fly. They can timebox every task and block. If something comes up, they can easily change the schedule (plus, they don’t sacrifice any productivity while doing it). Makers don't have this luxury. They can't divide their work into discrete 1-hour units, because they need at least half a day of continuous work to get anything done. Makers carry an overhead cost when they start working. For example, before a developer can start coding, they need at least half an hour to navigate around code and plan what they need to do. Once interrupted, they need time to get things back in their working memory before they can start being productive again. Makers need continuous time periods of concentrated work. Managers don't. Managers can switch between tasks without any cost. Plus, because managers operate under a schedule, they can always protect themselves from interruptions by saying they’re busy and point to their schedule to prove it. That's why meetings are a disaster for makers, especially if they're in the middle of the day. If you work from 9:00-17:00, and have a meeting from 12:00-14:00 (plus lunch), by the time you get to work, you'll only have two hours left for continuous work - and that is if no one interrupts you. That's barely enough to even get started. It's the reason why makers finish their day without getting anything done. Since managers have more power in organizations, they make everyone submit to their way of scheduling. Managers can have speculative meetings because they can afford them. Not so with makers. 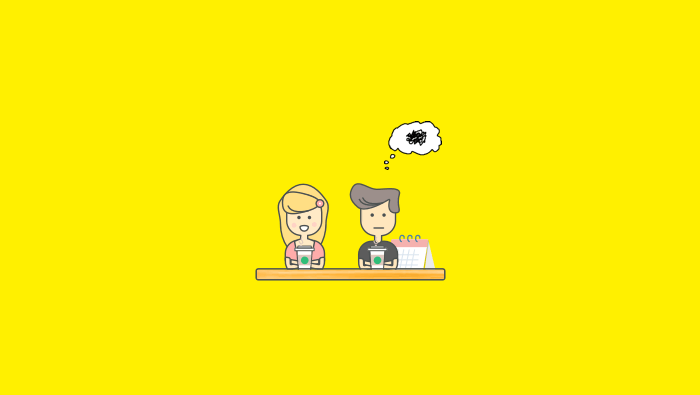 A designer can't go for a "quick a cup of coffee", because they have to get things done. If they do that, they no longer have a large, continuous chunk of time they need to get things done. Let your team have flexible work hours, or let them work from home. For example, most freelance developers code at night because no one can interrupt them and they can get things done while the world is quiet. Schedule meetings at the very start of the day. This way, people don't have to switch gears in the middle of work and can work without keeping one eye on the clock, careful not to miss the meeting. Limit work to 40 hours/week, not 8 hours/day. If the person is in the zone, the worst thing they can do is stop working because it's time to go home. Plus, if they have one hour left, instead of waiting it out, they'll go home and use that hour better the next day.